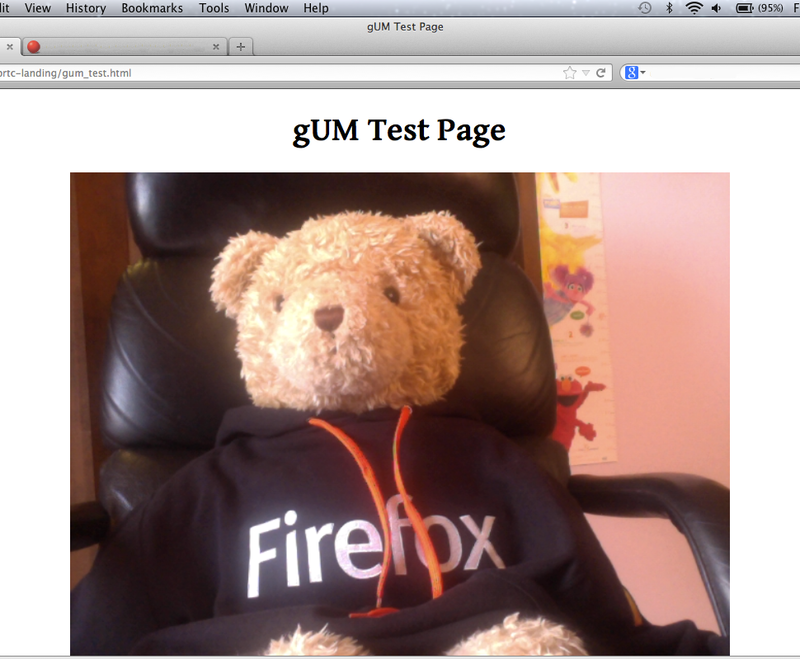 getUserMedia (navigator.mozGetUserMedia), also affectionately known as gUM, is now enabled by default in Aurora. Why is this so awesome? We still currently prefix gUM as mozGetUserMedia because the standards committee is not yet done defining it. So, gUM demos that work with Chrome (using the navigator.webkitGetUserMedia call) will need to be modified to include the moz prefix. gUM is also the first API component of WebRTC, which enables real-time, interactive, peer-to-peer audio/video calls and data sharing. The other big pieces of WebRTC, PeerConnection and DataChannels (a Mozilla first), still have some rough edges we’re smoothing out, but will also be enabled by default soon. You can try them now in Nightly or Aurora 20 by browsing to about:config and changing the media.peerconnection.enabled pref to “true”. We know gUM is a powerful new tool that will make the Web even more incredible, and we’re thrilled to enable this new functionality in our browser.